More than an updated second edition, this book combines the best information from the popular first edition with new insights to help you turn your travels into pilgrimages. 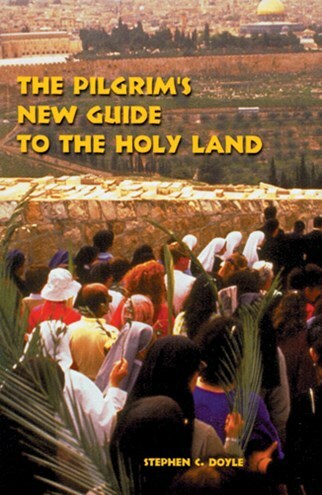 In this edition of The Pilgrim's New Guide to the Holy Land, Stephen Doyle adds the words to familiar hymns, and maps and photos, and includes new insights gathered from the documents of Vatican II, Paul VIs Decree on Evangelization, and prose and poetry that foster the spirit of prayer. After a brief introduction to each Holy Place, Doyle provides the Scripture passages appropriate to those locations. In offering these passages, Doyle reminds us of Pius XIIs statement that to find the meaning of Gods word, we must go back to the original languages, determine the intention of the author, and take into account the literary form. Following Pius XIIs suggestion, Doyle provides his own translation of Scripture passages. By presenting these passages he offers new meaning by exploring a new experience, in a new context, in a new culture. Doyle explains that there are major differences between going to the Holy Land as a pilgrim and going there as a tourist, or even as a student of history or archaeology. People join a pilgrimage from faith and for faith. This is not the same as a deepening of theological insight, or becoming more knowledgeable about the facts and beliefs of Christianity. The basic vision that distinguishes a pilgrim from a tourist is summed up in a passage by Paul: 'Since you have accepted Christ Jesus as Lord, sink your roots deep in him, build your faith upon him, and overflow with thanksgiving' (Col. 2:6). In The Pilgrims New Guide to the Holy Land, Doyle brings together the elements that facilitate that vision. Chapters are Jerusalem, Jerusalem; Holy Places East of Jerusalem; Holy Places West of Jerusalem; Holy Places South of Jerusalem; and Holy Places North of Jerusalem. Also includes appendices and an index. Stephen C. Doyle, O.F.M., has guided more than one hundred pilgrimages to the Holy Land and to Greece and Asia Minor. He has taught Scripture and biblical preaching at St. John Vianney Seminary, East Aurora, New York; Christ the King Seminary, St. Bonaventure, New York; Pope John XXIII Seminary, Weston Massachusetts; St. Bonaventure University; St. Michaels College; and Emmanuel College.
. . . a trove of information, background, prayer and song worth treasuring.